Crystal Ballroom is thrilled to launch a 2-day Cuban Rumba workshop with Yula Vostretsova! 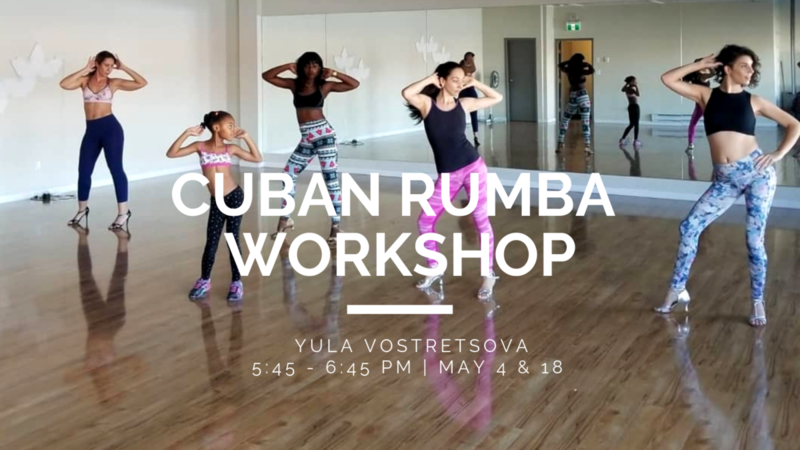 Join us for a fun afternoon exploring the movement of authentic Cuban styled Rumba workshop from a Cuban instructor, Yula Vostretsova. Cuban Rumba laid the foundation for many other distinct styles of Latin music, and even in forms of modern Latin hip-hop and salsa. All levels welcome, no experience required. Share This Workshop, Choose Your Platform!